 A Winning Team - ONRAD, Inc.
RT-Image | Team sports require a group of people to work together to reach a goal under a defined set of circumstances or conditions. It starts with official rules that ensure a game is played in a safe and fair manner and spell out how to win the game. In general, there is an offensive strategy; moreover, how the team will go about trying to win the game. There is a defensive strategy, or how the team will protect their efforts from the opposition. And, there are circumstantial advantages and disadvantages such as whether the team has the home field advantage or the weather happens to call for snow. When it comes to radiology procedures that require a team approach, the success of the team hinges on similar factors. The official rules take the shape of national standards, professional guidelines and system policies and procedures. The offensive strategy, of course, is how the team will go about completing the ordered procedure to diagnose, treat or rule out a problem for the patient. The defensive strategy is how the team will protect the patient from harm and provide quality care while completing the procedure. And the circumstantial conditions can range from magnetic fields and radiation, to patient needs, like pain management and sedation plans. To take this analogy one step further, think about the qualities that make a sports team highly successful. Hopefully, each individual on the team has talent in some area of the game and is driven to play to the best of his or her ability. There is usually a coach or team captain that uses communication to guide the team and promote cohesive effort in winning the game. And there is likely a high level of pride and an overall feeling of being united in effort by all members of the team. The Radiology and Sedation teams at Children’s Healthcare of Atlanta consist of technologists, nurses, sedation doctors and radiologists. Each is skilled in certain aspects of “the game” but work as a team to accomplish the goal. Well-written policies and procedures aimed at quality, safety and evidenced based practice guide delivery of care as the rules of the game evolve with advances in practice. Communication and collaboration is used to ensure all team members are aware of the plan of care and that the offensive and defensive strategies align for a win. The individual team members are fully engaged and committed to “the team,” knowing that the “win” means achieving the best possible outcome for patients. Sports are fun and entertaining. Working in healthcare, of course, is serious business. There is no score to be kept or championship series to televise. Fame and fortune do not hang in the balance. Nonetheless, the stakes are high and the value of a winning team is priceless.